I’ve been compiling a collection of poetry about immigrant women’s experiences in the Midwest. I can’t possibly use in novels all the compelling tidbits I find when doing historical research! When something calls to me, but it won’t work in whatever book I’m writing, I often channel it into a poem instead. From the train, the prairie looked flat as a cracker. the child who toddled from her side, chasing a butterfly. In this poem, I wanted to reflect how life has both changed and stayed the same since 1867. While the loss of a bonnet may feel irrelevant today, the loss of a child evokes timeless emotions. My poem was given to an artist, who had three months to create a partner piece. I didn’t see the results until the exhibit opened. A reception to celebrate “Mark My Words Again” was held at the Pump House last month, and it was a fascinating evening. The poems selected for the exhibit were diverse, and so was the artwork. Some artists chose to illustrate the poem they were given; others used an idea in the poem as inspiration to move in a new direction. My poem was given to talented photographer Jerry Weigel. Heartfelt thanks to Lynne Valiquette and the “Mark My Words Again” committee not only for selecting my poem, but for mounting such an extraordinary exhibit! When I worked at Old World Wisconsin, I read every account left by 19th-century immigrants to the Upper Midwest that I could find. These diaries, letters, and reminiscences continued to be relevant (and compelling) after I took a job developing and scripting instructional video programs for Wisconsin Public Television. Most recently, while writing a novel about Swedish immigrants (The Runaway Friend), I went back to archives and local history collections to see what else I could find. I’ve been developing a collection of poetry about immigrant experiences. 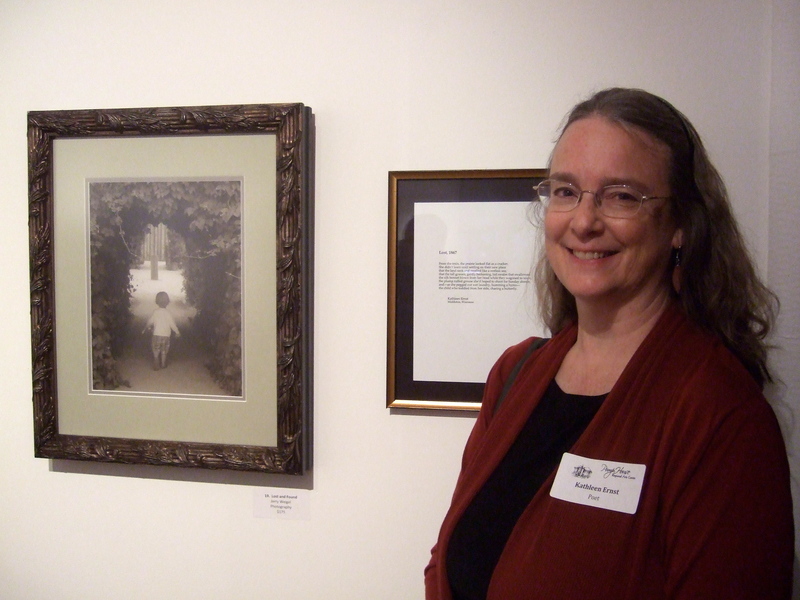 I was honored to have one of my poems, “Facing Forward,” chosen for the MARK MY WORDS exhibition at the Pump House Regional Arts Center in La Crosse, WI. The exhibit organizers selected twenty poems and twenty artists, and asked each artist to create a piece in response to one of the poems. My poem is about a Norwegian immigrant couple starting a new life. I wrote “Facing Forward” to honor those women who faced inconceivable hardships, but still took joy and strength from Wisconsin’s landscape and opportunities. when to plant potatoes, counted coins before Rilla shopped. chain of chores, and worn-fingered women doing them. empty bellies and purses, Emil said We will go. smoke-stained village, mossy gravestones, all she knew. an unborn child in front, the toddler on her hip, worry. tied over one shoulder, and hefted the rifle too. what he’d lost, and how she’d come to find it. 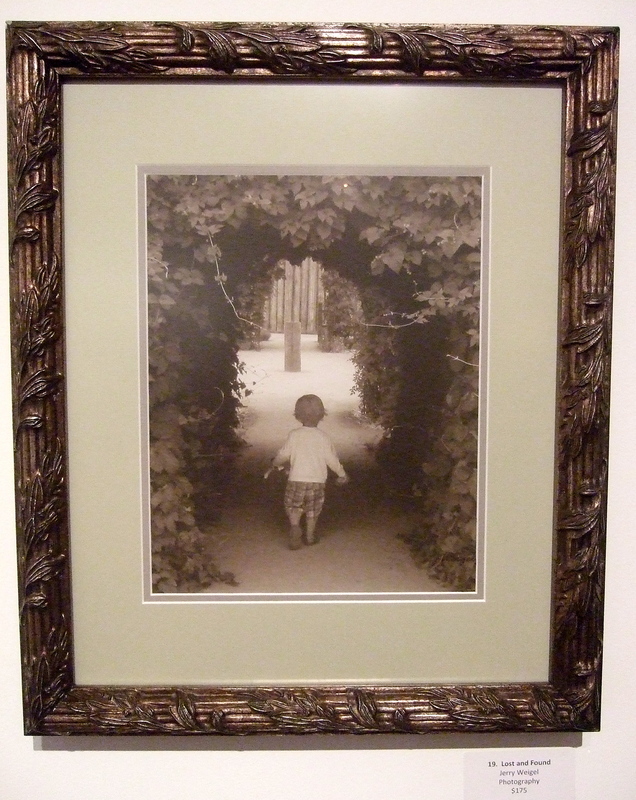 “Facing Forward” was given to Monica T. Jagel. Monica, a certified botanical illustrator who works primarily with colored pencils, does exquisite work. I spent months wondering how she would illustrate a poem that covers travel from one continent to another! The artist, Monica T. Jagel. What talent! Last Saturday evening, my husband Scott and I attended the opening reception for MARK MY WORDS. Seeing my poem hanging beside a gorgeous work of art was one of the coolest things that’s ever happened to me as a writer. Facing Forward, by Monica T. Jagel. All rights reserved. If you look closely, you can see a map of Scandinavia “hidden” on the tombstone. Monica also told me that in order to paint the kale, she called Seed Savers Exchange, ordered the oldest variety of kale they had, and grew some in her garden. Heartfelt thanks to Monica; also to Lynne Valiquette and the rest of the MARK MY WORDS committee for putting the exhibition together. At the reception, poets read their work, and artists explained how the poems inspired theirs. The collaborative effect is fascinating! 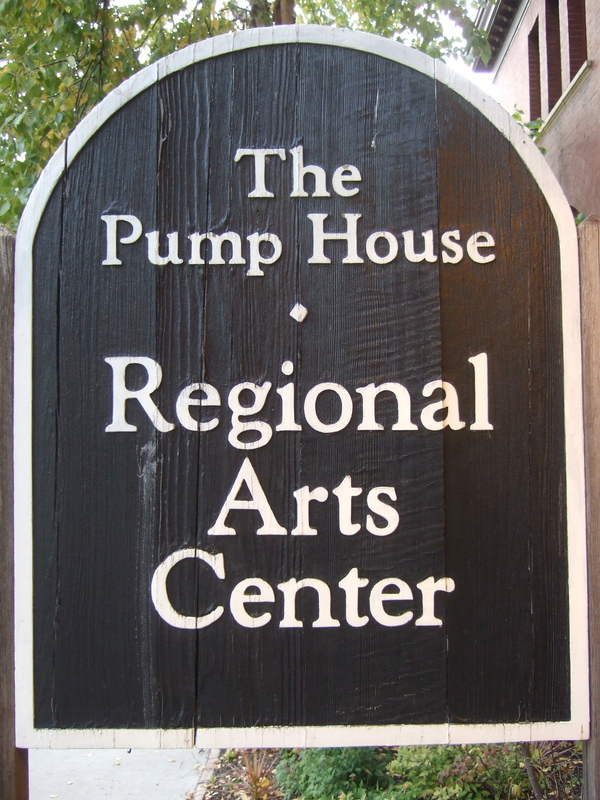 The show will be at the Pump House Regional Arts Center through November 14. From there it will move to the La Crosse Public Library. If you’re traveling through the area, check it out!